Does Caring Hearts Senior Care Home, Inc offer the following services? 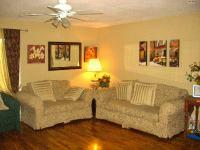 Warm, home-like single story home offering assisted living for the elderly. Facility located in West San Jose near Campbell, Saratoga, Santa Clara, Los Gatos, and Cupertino. Providing loving care including medication management, appetizing daily menu, laundry and housekeeping, assistance with personal care, and social daily activities. When it came to finding a safe and comfortable spot for our Dad, we made site visits to several facilities in the Santa Clara/San Jose Area. Initially none met with our approval. Then, when we toured Caring Hearts Senior Care Home in West San Jose, we knew immediately that it was the right spot for Dad. It was clean, food was good, and most importantly the staff was friendly, conscientious, and welcoming. Dad feels "at home" there, and so do my siblings and I during our visits with Dad. The music and art activities are an added plus to the comfort and care that Olivia and her staff provide. Thank you Caring Hearts! My mother has been living at Caring Hearts for the past 14 months and her care is wonderful. The staff and owners are kind and gentle, and the facility itself is clean and sunny with lots of light. Olivia and Antonia are great about keeping me updated when my mother has various doctor appointments as she doesn't always tell me the truth about her condition, and I really appreciate that. I got lucky - Kaiser only gave us a day's notice to find a place and Caring Hearts was the first and only place I looked at; I immediately felt comfortable there and liked the people I met; they actually seemed to be having fun.